Shanna is a native Floridian. 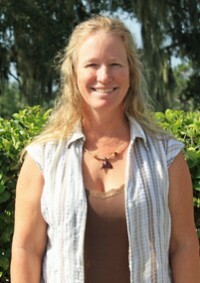 A veterinary nurse since 1993, she joined EMCO in January of 2005. Her primary responsibility at that time was to work side by side with our internal medicine specialist. As our practice grew, she trained others to assume this responsibility so she could move into the position of Hospital Operations Manager. She is responsible for the hiring and training of our nurse staff and manages the maintenance of the majority of equipment needed by our veterinarians. In addition, Shanna oversees our pharmacy. Because of her experience as a veterinary nurse, she is able to answer client questions regarding the medications prescribed by their veterinarian. Shanna is responsible to manage the procedures that maintain control of our inventory in the pharmacy. Her efforts have contributed greatly to the efficiency of hospital operations and inventory control. Her hobbies include salt water fishing, horseback riding and camping.